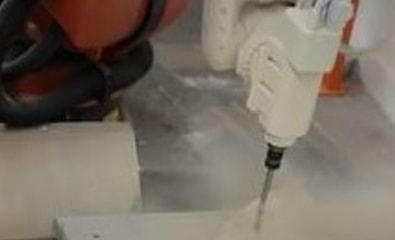 Robotic Milling can make the milling process more flexible. 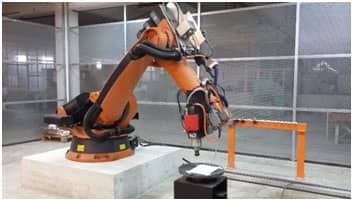 Any object from wood, plastic and metal, carbon fiber oraluminium, of any size or shape can be milled by simply adjusting the end of the robot and the robot programming. Robots can be used by any kind of industry from food, aerospace, marine, automative, nuclear, construction and more. In fact, there is an increase in the use of industrial robot, we cannot ignore the advantages that robotic bring to the world. All this is even more impressive when you look at flexibility of a robot cell design and the number and type of jobs that they can perform. Industrial robot will significantly reduce total number of electrical and mechanical components for maintenance or repair. Furthermore, they are maintenance free, they just requires only greasing every 6 months to 3 years and changing of batteries annually. Another, advantage that adding the tool Changers increase reliability by eliminating operator intervention and changeover procedure.